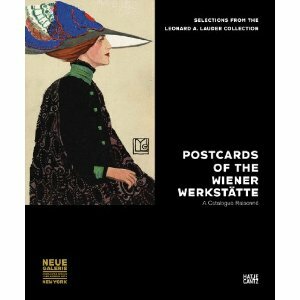 If you’re still recovering from the marvellous NGV Vienna exhibition then this beautiful book filled to the brim with reproductions of Wiener Werkstatte postcards is just the trick. It’s not every artistic movement that dedicates such energy and seriousness to a form often considered so ephemeral, but in the hands of artists such as Josef Hoffmann, Oskar Kokoschka and Egon Schiele the humble postcard is transformed into something rather magical. The direction of 20th century art was not kind to a great many 19th century practitioners, despite the phenomenal success they might have had in their own day. 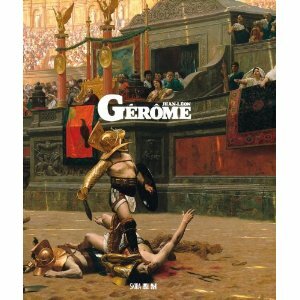 Gerome was one such artist whose highly detailed, ultra realistic and unashamedly theatrical paintings enthralled his contemporary audiences only to be mocked and rejected by a more modernist crowd. Storytelling imbued with the spirit of melodrama, allied to an almost impossibly refined technique, was not the order of the post-impressionist world and many remarkable artists were dismissed as kitsch and academic. Happily they are being re-evaluated now, and whilst the art world may have rejected them you only have to look at some of the imagery of early cinematic pioneers such as D.W.Griffiths and Cecil B. DeMille to realise that another branch of the 20th century arts was making full use of their splendid visions. Some might say of course that the contemporary art world has fully embraced kitsch, depending on what your tastes are! 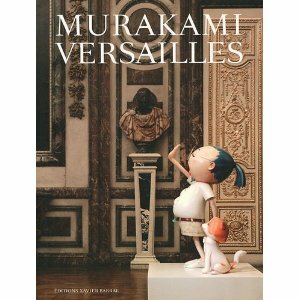 The Chateau de Versailles has recently begun a program of artistic installations which playfully pit its own overwhelming environment against the work of seemingly antithetical artists; the first in the series featured Jeff Koons! The work of Japanese artist Takashi Murakami is similarly jarring, and yet strangely comfortable within this alien setting; and there’s something rather wonderful about something so playful existing within these ornately grim chambers. 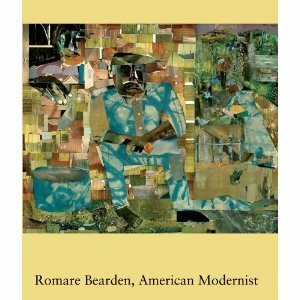 An artist new to me, Romare Bearden in many ways encapsulates the principal movements and concerns of the 20th century American visual artist. His African American roots deeply influenced much of his subject matter from images of the deep South through to jazz, religion, theatre, film and social issues. The influence of his teacher, George Grosz, is not hard to discern in much of his early work whilst his later collages are quite dazzling in their vibrant complexity. 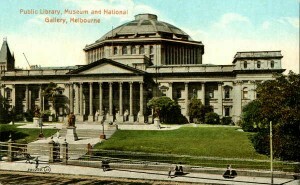 A postcard from our own Picture Collection; now where could that be?